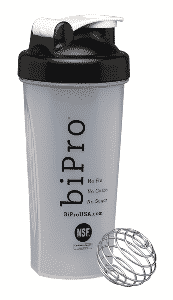 Click here to visit the biPro site and fill out your info on the right. After you fill out, you’ll see “Please click here to begin!” Click that link and complete their quick questionnaire. For doing so, they’ll send you a free 24 oz BiPro Blender Bottle. I’m guessing they have a limited supply so hurry! We’ll see.. don’t know if we got it or not! Hopefully so!